Jb Zakir Hussain has been appointed as Ameer e Muqami (President) of JIH Gulbarga for the second time for the term 2013-15 by Ameer e Jamaat Moulana Syed Jalaluddin Umri on the recomendations of Ameer e Halqa and the openion of local Members of JIH. 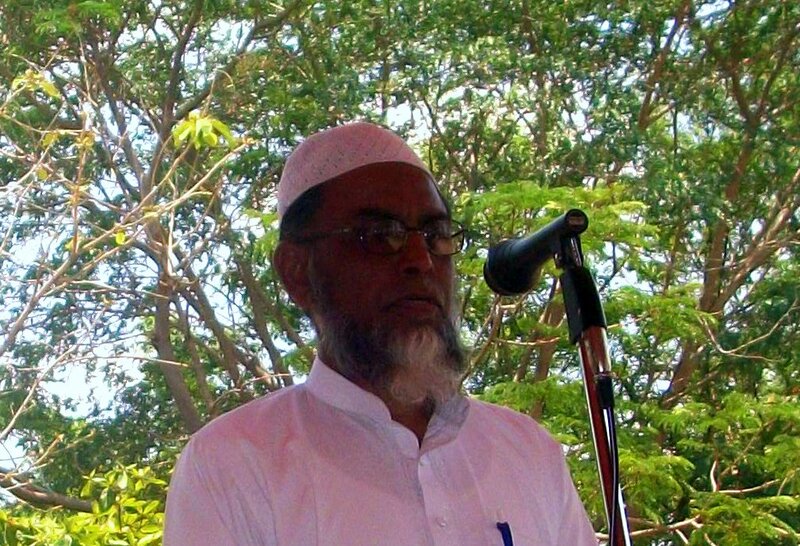 A senior member of Jamaat who already had served as the President of the unit for ten years from 1997-2007. He took charge from the out going president Jb Mohammed Ziaullah. Being an Electrical Engineer, is a Business man by profession having an electrical shop in the city. Earlier to assuming the charge he was serving as Muaavin Nazi e Elaqa (Asst Dist Organizer) of Gulbarga Region. In the first Arkaan (Mmebers) Meeting held last week presided by Nazim e Elaqa Jb Mohammed Yousuf Kanni he constituted the local executive body with suggestions of the Arkaan. The Office bearers so appointed are as follows.